WiiWare wasn't exactly inundated with quality games but it had a few solid-gold gems, three of which were part of Konami's ReBirth series. Developed by emulation experts M2, Gradius ReBirth, Castlevania The Adventure ReBirth and Contra ReBirth adopted a classic 16-bit visual style and aimed to replicate the look and feel of each respective franchise. With WiiWare's time now numbered (Nintendo is pulling the plug on the Wii eShop in 2019), it would make sense for Konami to find another digital storefront on which to sell these titles. The Switch eShop is perhaps the most obvious candidate. The rumour also states that a fourth game is in development. While this rumour is a long way from being confirmed, we'd personally love to see all three games get a "rebirth" (ho ho!) on Switch. What about you? This would be great if true. 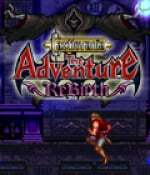 I loved Castlevania Rebirth, and would love to be able to play it on the go. It would buy the other two as well. I'm hoping so! Those games would be a fantastic addition to the Switch eShop. I was planning on buying them before the Wii Shop Channel permanently closes but if they are coming to Switch I can just get them there. If this is true I hope it causes Nintendo to consider other WiiWare games to port to Switch /ahem...(Excitebike World Rally) ...../ahem. I'd buy it for sure. Bring em on. Great news. I wasn't entirely sold on Gradius Rebirth, but Castlevania The Adventure was pretty darn good. I loved all three, but please bring more, including the long-rumored (at the time) Jackal and Salamander ReBirth titles. Really really hope this turns out to be true. The castlevania and contra ones in particular are great. Wonder what a fourth one could be? That's cool. 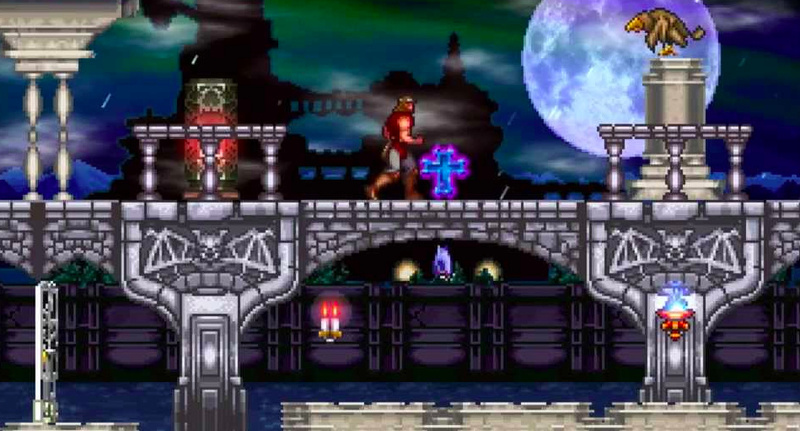 I never got to play Castlevania Rebirth myself and as a fan of the series I would definitely like to. Contra rebirth would be great, I hate to thin k how much I sank into the original arcade version, it was our go to game down the pub back in the day..
How about the rebirth of WiiWare Games on Switch ! I bought a ton of them back then. I was wondering when they would figure out there is money to be made here. I will not mind double dipping on these at all. But please don't stop there, Hudson's Wiiware remakes were also all quite brilliant. Please let this rumour be true never played this on Wiiware. Just make the price reasonable and I'm there. @3dg3d3m0n you used to play Contra ReBirth at your local bar? That's just impressive and one of the most unique statements I've ever heard. If that rumor is true, it's gonna be awesome to see Castlevania: The Adventure ReBorn gets ported to the Switch. Not only I truly love the 16-bit style of gameplay... but also the 1991 arcade style soundtrack! Having watched the videos on YouTube, I'm not sure why there's so much love for the Rebirth series. Maybe the gameplay is really good? The graphics look really poor, though the music is pretty neat. I'd much rather see them release the original console versions with updated audio, but that seems unlikely. It's such a good 8-player game! Contra Rebirth was awesome, let's hope they do more rebirth games. Day one buy if true. Always wanted to play these. I wasn't a big fan of the Rebirth series (very generic, in my opinion), but all the more power to those who were. What I'd really like to see is an HD remake of the 3 DS Metroidvania games, or an entirely new Castlevania entry that is developed either in-house or by Wayforward (having proven themselves on Contra 4, another game that begs for an eshop rerelease). Please, Bring DDR to Switch Konami ! I'm waiting for DDR X3, DDR 2013, DDR 2014, DDR 2015 & DDR Ace from Arcade version to Switch version ! WiiWare was SOLID man.... great games and some of my favorite Puzzle games ever! I always wished they moved them to 3DS too.... Bittos+ -ArtStyle, MaBoShi's Arcadde on the go? Oooo, Gradius Rebirth yes. And Contra. Great games, If true I will be purchasing these games again for the Switch hopefully nintendo will have some kind of discount for them if you done own them on the wii eshop. I hope they come in a collection package of some kind. With digital titles like this, I think it is important that they get moved to new platforms. When the eshop closes, access to many games will simply go away. It's one of the things of this digital era of gaming that concerns me a good bit. I wish companies would start looking into a way to better preserve their digital services. Maybe with some form of simplified legacy services or something. I would rather prefer to see Hard Corps: Uprising, Gradius V & Castlevania: Harmony of Despair on my Switch. Make sense to me. And there were actually pretty solid titles, well worth playing. To be honest, I basically want everything from Wii to be playable on Switch--but that's because I have this craaazy idea that the Switch's Virtual Console should be genuinely amazing and should allow Switch owners to play basically all of the games (where possible) from all of Nintendo's past consoles ever, both home and handheld, and that even includes the likes of Game & Watch, Virtual Boy and arcade games too, all the way up to 3DS and Wii U (again, where possible). I think that would be one way to turn the Switch from a pretty cool home/handheld hybrid that a lot of people already love into a console that would basically define this generation and these times and go down in history as one of the greatest and most complete and satisfying videogame systems ever created. But, hey, like I said--I'm clearly just craaazy! @oji Once they read your message, I'm sure they'll cancel everything and get to work immediately! I'd totally buy all of these! No way. But my god pleasssssse. Never ever had a chance to play these - didn't even know they did a Contra one. @QwertyQwerty You are a wise man. @Anti-Matter I don't know if you're joking....but that'd be such a pretty dream to get those. Now THAT would be something to see!! And if it happens then it’s about time Konami- now how bout all those other classics you’re sitting on?? Last time we got Dance Dance Revolution II for Wii. Pretty Big Deal despite of lack of Edit Mode , Awful Cut for Licenced songs for Short version and Non Full Video BG like previous DDR. Well, i wonder about DDR future Without Naoki Maeda, The Master of DDR Song producer. @bezerker99 Double Yes on bringing ExciteBike World Rally to Switch. That game is awesome! Fourth title: Metal Gear ReBirth. That's great news, loved Castlevania rebirth. Does this person have any credibility when it comes to rumours? It would be great to have confirmation on this before the March deadline to add money for WiiWare games. I was just about to buy these on the Wii because it it coming to an end. I think I might just wait now. I hope it is true. I might just buy them anyway. I thought that they had a working Jackal ReBirth game at one point that was backed up with images. That'd be cool. I mean, I have the original Jackal for my NES but I wouldn't say no to a remaster! Oh my God! Contra Rebirth for me! While I don't trust Konami to do anything viable, I have had these games – Castlevania in particular – on my shortlist of WiiWare to buy before closure. Would be nice to get confirmation before March. If Konami do plan to bring it back, I hope it's through a compilation like what Capcom is doing. Would be nice to have a physical compilation of those three games altogether. If there is a fourth Rebirth game coming, I really hope it's Rocket Knight Adventure Rebirth or Mystical Ninja Rebirth, really missed those two franchise a lot. More old titles available to buy here at long last? Don't mind if I do! The remake thing may even lead me to replay them again... despite the still long backlog in respective franchises. Great, more awesome games on my switch the better. Great news considering the closure of the Wii Store. Wiiware confirmed for Switch Virtual Console, lol. While you're at it Konami, how about giving Hamster a bell? Would love an arcade rerelease of Sunset Riders. Great news if confirmed. Those games didn't get enough exposure. Since I don't own a Switch yet, a WiiU release would also be cool. I'll get on board eventually. @Syntaxkita stealth is a pretty well known guy when it comes to rumours so it’s not like it’s just a random tweet or anything. However in this case you’re right, he said today on resetera that he doesn’t want to discuss his tweets as rumours and that he tweeted a list of the rumours he’d heard but wasn’t necessarily saying he backed them all or anything. Awesome news! The Rebirth games were great on Wiiware, and I'm really looking forward to the fourth one, if we do get one. Goemon Rebirth, anyone? Okay, that one's very unlikely, but still. @airelephant, I played castlevania and contra rebirth and I can tell you they are pretty good games. I really do hope Konami releases these again. I'd hate to see them be lost with the Wii Ware service. Hopefully they will keep Driift Mania as well. That was a fun game. Awesome these are great games it would be nice to have them in HD and portable, though it would be awesome to have them on the 3DS in stereoscopic 3D games like these just pop in 3D and it would be AMAZING if Nintendo would release the art style titles on the Switch e-shop as well or the 3DS e-shop and add online leaderboards for replayability there were some gems in that Art Style series that would be perfect for portable play. I would pay a king's ransom for that! @Shiryu What WiiWare games did Hudson make? I'd like to see some of the best WiiWare games re-released minus half the junk which littered the store. Art Style games would be cool as I loved Picopict (I know it was DSiWare but the Switch has a touch screen). Awesome. Will re-buy Contra and Castlevania. Nice, i really like those three. Also, seeing M2 working on something for the Switch again (after the Secret of Mana collection) would give me some hope that they also bring their M2STG shmup publishing brand to the Switch (with Battle Garegga!). Never played Castlevania Rebirth in the WiiWare era, so I would be willing to try it if it came to the Switch! Bold titles = awesome reboots and/or awesome exclusives. Did you knwow I used to be regional champion for Star Soldier R? I need a new Star Soldier in my Switch life, caravan or otherwise. @Shiryu Thanks for the list, if they release another Star Soldier on Switch I think you'll have loads more people to compete against. Please be less than $15 a piece. One of the reasons I never took the plunge. Played the Contra one on a friend's Wii, though. Good stuff. I've never played any of the WiiWare games, but I think this is a great idea for the sake of preserving software. This would be amazing. In light of the closure of the wii eshop i bought a second system and downloaded all these games again just in case my initial console should ever go down. These games should get a physical release. Gradius is the weakes for me but all are very good with what i would say the best Contra game ever made. Contra's difficulty was insane but I loved all three of the ReBirth titles. Really hope this rumor is true, would love to get every Castlevania on Switch. Bang on! That's one of the few reasons to go back throught the wii eshop. That and Sin and punishment 1. Mmmh... A Sin and punishment collection for the switch would be really great!